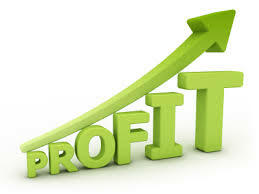 All agency owners want to find ways to lower costs and increase profit, particularly in today's challenging environment. Our AppointMate® solution for private duty home care agencies provides a number of quick ways to reduce your non-billable hours. With a few changes to telephony, billing and payroll options that AppointMate customers can make themselves or through a quick request to the Support Department, agencies have the potential to save thousands of dollars annually. 1) Place limits around clock in and clock out times. By limiting the amount of time before and after a shift that your caregivers can clock in and out, you lower the length of time that your caregivers are being paid that is non-billable to your customer. AppointMate allows you to customize these thresholds. For example, you can only allow clock in and clock out within a five minute window before or after the time for clock in and clock out. If caregivers arrive later than the five minute window, they would need the office staff to clock them in, adding an extra layer of accountability. Rounding can take your clock in and clock out thresholds one step further. AppointMate offers incremental rounding options for both billing and payroll to give you the control. If you set your payroll rounding to coincide with the five minute clock in and clock out threshold described above, you could round to the start or end time - essentially eliminating non-billable time from most appointments. AppointMate features a variety of alerts related to appointments. In addition to our colorful status screen displaying the status of today's visits, both caregivers and office staff can receive notifications if appointments are overdue or if someone overstays at an appointment. With our two-step alert system, your first notification could go to the caregiver reminding him or her to clock in or out. The second notification could be sent to the caregiver and to the office staff to notify them if the caregiver has still not clocked in or out. By closely tracking arrivals and departures and enforcing your own policies, you can reduce the differences between your scheduled appointments and your actual appointments. AppointMate customers with questions about how to implement these tips can contact our Support Team. If you are not yet an AppointMate customer, we would be glad to demonstrate how AppointMate can help you maximize your agency's potential. Simply contact us to set up a demonstration.